Kindness Flowers were created and handed out to attendees at the Daffodil Festival. 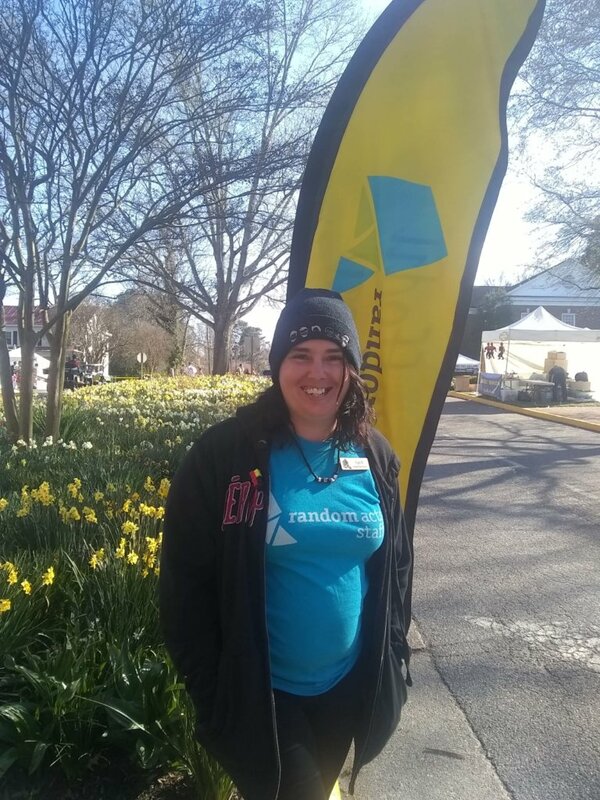 Two weeks ago (April 6 & 7) the citizens of Gloucester, Virginia came out to the Daffodil Festival to #getkind! South East Regional Representative April Vian was there for the Random Acts sponsored event, and filled us in on all of the details! April in front of the Random Acts banner! Random Acts passed out over 300 bracelets, which could be earned by completing acts of kindness during and around the festival. There were many different acts to choose from, but included: picking up trash, helping someone across the street, thanking a service member, allowing someone else to go first, passing out a kindness flower (an art project they could make at the Random Acts booth), holding the door for someone, and passing out free water, coffee and hot chocolate to fellow attendees. The bracelets were color coded and could be turned in to specific participating vendors around the festival for prizes, which included pizza, snow-cones, yo-yos, cotton candy, free rides on the inflatables and rock climbing walls, goodie bags donated by the Daffodil Festival or toothbrushes from a local dentist. 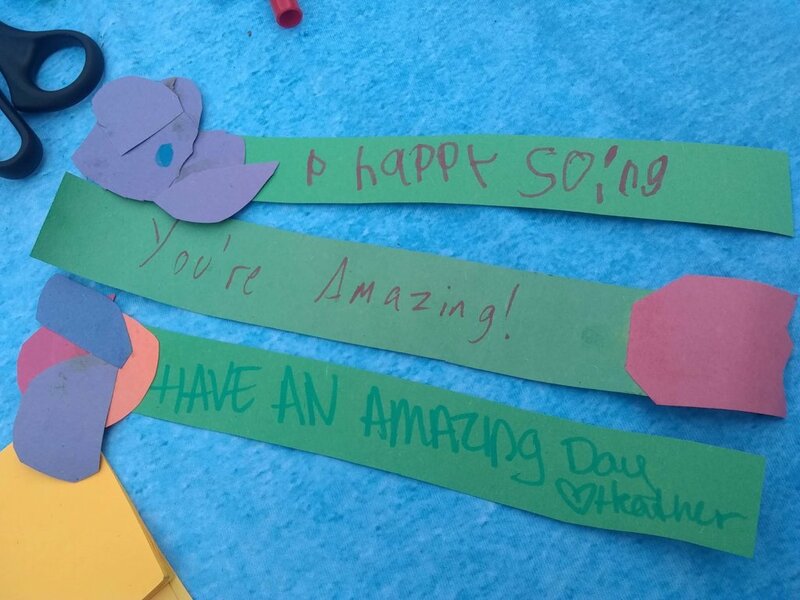 At the Random Acts booth, attendees were able to create kindness flowers with positive and encouraging messages. They could also take home planted flower seeds as a reminder of the event. Attendees were reminded that an act of kindness does not have to be big or loud to make a change in someone’s day. These small acts made a big impact on the festival goers! Interested in creating some kindness of your own? Check out our Kindness Ideas page to see how you can #getkind.